When someone has done judo for 17 years, running will be far too one-sided as a replacement sport in the long term. That’s what it was like for the head of our SBU Eyewear, Dr Marco Wacker. Even increasing his distances from 10 to 21 and ultimately 42 kilometres was not enough to satisfy his hunger for “more”. Then he discovered RUNTERRA. 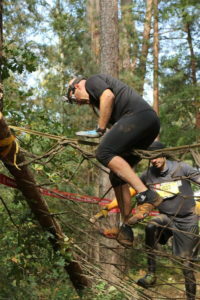 Marco still clearly remembers his first training session for one of the most challenging obstacle courses in Germany. After three hours, it ended with a swim in the Main-Danube Canal, at an outside temperature of three degrees Celsius. In that moment in winter three years ago, Marco found a new love – and since then, obstacle courses have been marked in red in his diary! Extreme obstacle courses? Why put yourself through something like that? 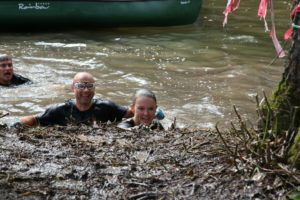 Even if his colleagues sometimes can’t understand it, Marco really comes alive tramping and swimming through the river Bibert, plunging into mud pits or crawling under a barbed wire trellis. He enjoys climbing sand hills and piles of tyres just as much as dragging around extra weights and running about in soaking wet clothes. One lap on the large RUNTERRA adult playground is eight kilometres long – and because it’s so enjoyable, Marco generally does the course twice in a row. Despite all the fun however, he feels it’s important not to overlook safety. 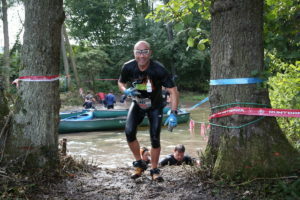 “What makes these kinds of events challenging and exciting on the one hand – overcoming your weaker self by plunging into deep mud pits and then, filthy, exhausted, possibly freezing as well, immediately having to sprint again or balance at a dizzying height – also harbours risks on the other hand.” To overcome a total of 100 obstacles without injury, Marco and his team mates all wear uvex phynomic C5 cut protection gloves, because they are “comfortable to wear and have a super grip with no restrictions,” which is particularly useful when it comes to obstacles that involve climbing or crawling. 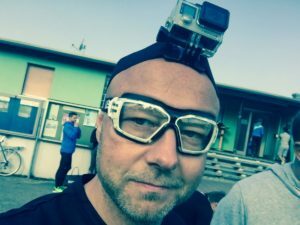 We would like to sincerely thank Dr Marco Wacker for his contribution and wish him every success with the next obstacle course! 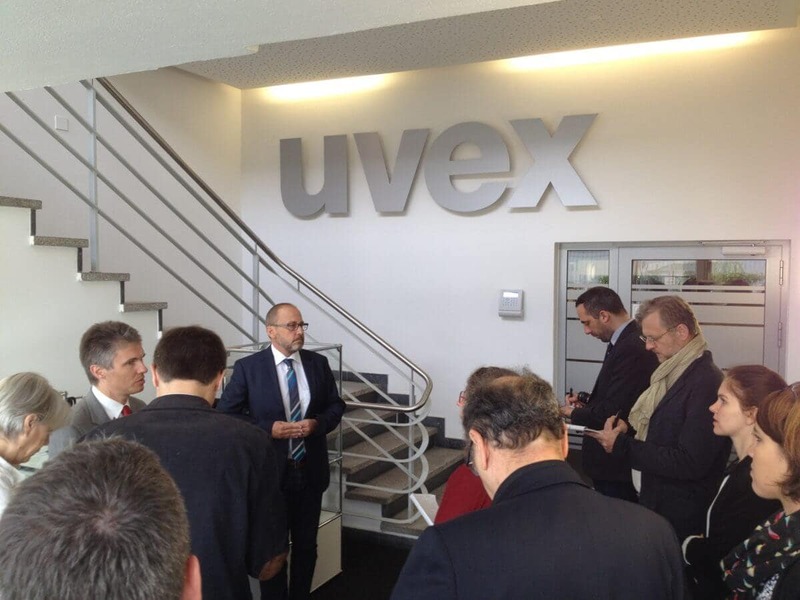 uvex is pleased that its occupational safety products are being used in the personal domain. Naturally, it is not possible for us to ensure that the right product is used for the right activity here. uvex therefore assumes no liability for the appropriateness or correct use of the products or for ensuring that they are up-to-date, and shall not be held liable if third-party products are used. The great memory you have shared here about the safety products, personally me, i was love a new safety glasses design. 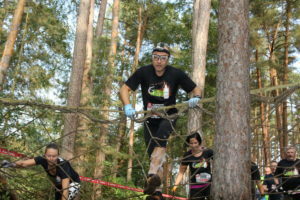 I have enjoyed the blog post a lots, specially your adventure images where you were actually tested the safety products. 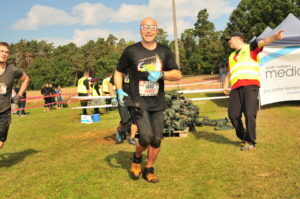 Thanks for sharing reviews for the safety products like safety glasses,safety gloves and specially i love the obstacles where you tested the safety equipment.